These companies provide support for the Coastal Camera Club via discounts and a small rebate on member purchases. Support them -- They support the club! PS A is a worldwide organization providing a wide range of services that promote photography and benefits to its members. Coastal Camera Club (CCC) is a member of PSA, and individuals can become members, too. Individual members can participate in competitions, study groups and on-line education programs designed to advance photographic knowledge and skill. If you have any questions about PSA contact Leslie Sinclair at scubalas@hotmail.com. She is the PSA Rep for the Coastal Camera Club. NOTICE: CCC is also a member of Delaware Valley Council of Camera Clubs. A perk of your club's membership in DVCCC is the eligibility of all of your members for the local medals in the upcoming Wilmington International (http://www.wilmingtoninternational.org/) closing on Feb 11. 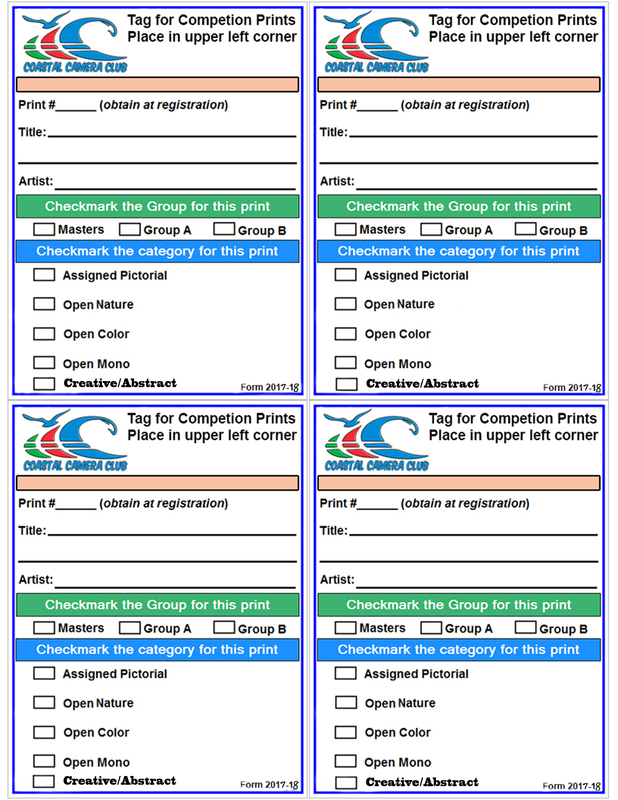 Remind your members to indicate their club affiliation at the top right on the reverse of each print entered, as noted in the conditions of entry, to be considered for these additional awards. Welcome, members and friends of the Coastal Camera Club, a learning and sharing organization serving the Delaware seashore. Please enjoy special incentives on amazing products from Think Tank Photo. By clicking here you will receive the best pricing, free shipping, Think Tank's famous "No Rhetoric" warranty, the best customer service in the industry, and a Think Tank product for free every time you place an order for $50 or more. Not only that; Think Tank will make a donation to us with every order placed. MindShift Gear. Last week we released a new adventure photo sling bag named the PhotoCross…and it is taking off on us! Parcels Plus has a variety of printers, including a large format 48-inch plotter/printer. They provide exclusive discounts to Coastal Camera Club (Take club name tag). Amazon will donate 0.5% of the price of your eligible AmazonSmile purchases to Coastal Camera Clubwhenever you shop on AmazonSmile. If you spend $100, Club gets $0.50. It all adds up. The Club never knows what individuals have donated, either who or how much, the Club just gets direct deposit of funds. On your computer (click here) and enter your existing Amazon user name and password. In the selection box enter “Coastal Cameral Club” (AmazonSmile presents a default organization but you change that). After that, whenever you buy something from Amazon, please consider buying it from the AmazonSmile site instead of the regular Amazon site – add to your bookmarks. The AmazonSmile site will show that you are supporting the Coastal Camera Club. The Club receives 0.5% of eligible purchases (all things except subscription services). The Club never knows who is contributing or how much. Quarterly, the Club will have the funds direct deposited in our bank account (only amounts $5 or more). The Club does not know how much is accruing until the deposit comes in.